There are a few mega airports across the world operating as large transfer bases. 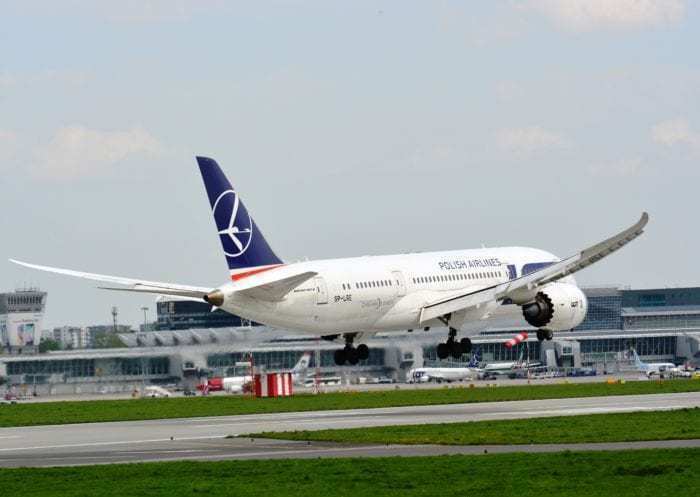 Now, LOT Polish Airlines is attempting to turn an airport in Poland into yet another mega-hub. A new mega-airport is currently under construction in Poland. Intended to serve the city of Warsaw, the new airport would allow Poland to become a mega transport hub to rival Emirates in Dubai. It comes at the same time that Finnair is trying to become the Emirates of the north. The new Polish airport will be constructed 40km outside of Warsaw. It will replace the current Chopin International Airport and will have five times the capacity. In fact, the new airport will handle up to 100 million passengers per year. 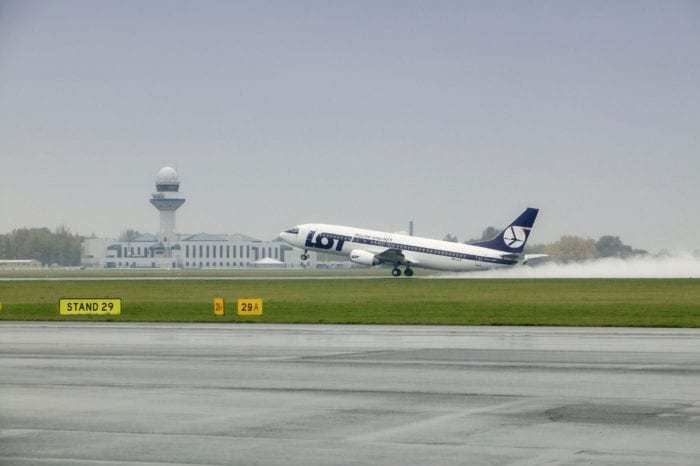 The airport will become the main hub for LOT Polish Airlines who have ambitions of becoming rivals to Middle Eastern airlines from this new hub. Warsaw isn’t the only city currently investing in a new airport to boost capacity. A new airport has just entered service in Istanbul in the last week. Additionally, a new mega-airport is currently under construction in Dubai to replace both Dubai and Doha. How do transfer airlines work? Transfer airlines such as Emirates operate largely on the principle of connecting passengers across the world. The Gulf carriers are perfect candidates for transfer airlines thanks to their strategic position between Asia, Australia, Africa, and Europe. This allows them to easily connect between many destinations in just one stop. This principle means that some smaller destinations can be easier to reach. Taking the example of Bali, both Singapore Airlines and Emirates operate one-stop flights to the destination. By taking the Emirates flights, the two flights are divided equally as opposed to one long flight and one short flight. Would you fly via Poland? Let us know in the comments down below! Using LOT several times a year to fly between ORD and several Ukrainian airports. Their transatlantic product is not bad, but inland product needs lots of improvement. Also, the connection times at WAW are horribly short. Anywhere between 40 minutes to an hour and a half. And their transatlantic flights (especially from ORD) are constantly late. 1 missed connection and 3 almost missed connections in 12 months. Out of 6 total flights. Now, the only thing that makes these short connections possible is the size of WAW. It’s super small. Probably same size as VIE. If they are going to build a larger facility, something needs to be done to allow longer connections time. Other than that – LOT is the only airline with convenient connections from ORD to majority of Ukrainian cities. So there is pretty much no choice. 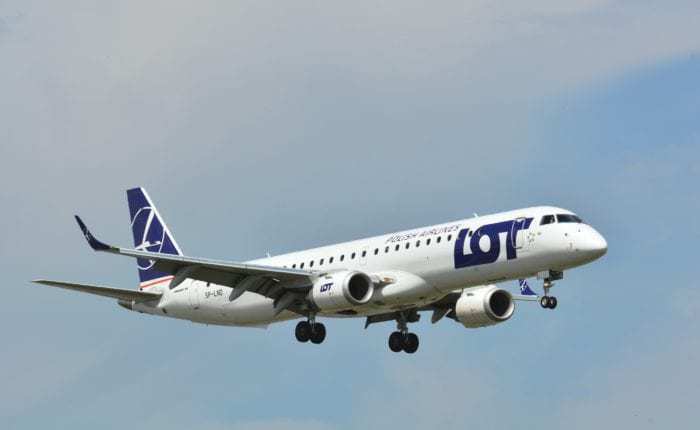 LOT is having a good chance to reach a good position as the leader of Central-East European airlines because of the lack of concurent carriers in Warsaw. Asian or American airlines still ignore Poland and open destinations to Budapest and Prague, because the well common goal of a number of carriers is to provide tourists, situating bussiness travellers in the second place. Due to this, LOT has a wide area of things to do. Except Air China, Emirates with silly little offering (only one B77W daily) and Qatar Airways there is no one to disturb the development of Polish carrier. I advice you to stay tuned in the situation of Polish civil aviation in next few years, because there may be some surprises. Great work Tom, brilliant article. I hope to see this airport booming in a few years. New airport in Dubai to replace… Doha? In Qatar? The home of Qatar Airways? Seriously, proof read your articles before you publish them!